Before suggesting you dissertation topics in nursing, let me tell you why nursing is a very good degree to earn. In my opinion, when it comes to educational investments, undoubtedly, earning a nursing degree is the best decision you have ever made. Nursing is a profession which has never-ending individual and professional rewards. By choosing to become a nurse, you have chosen to endow your life helping others, using skills that bring together technical knowledge with compassion and caring. The strong necessity of professional nurses throughout the world is a persuasive sign that this profession will remain a strong career path for many years to come. However, to earn a nursing degree, you are required to submit a dissertation on a good nursing dissertation topic. 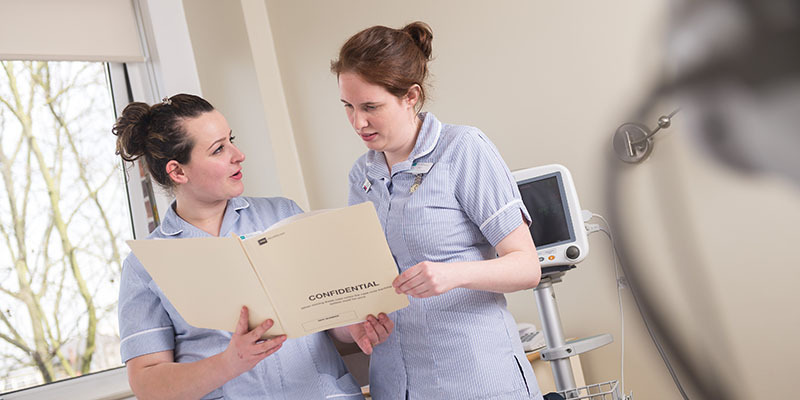 Students who are pursuing a degree in nursing have multiple specialised fields to choose good research topics in nursing. Below is the list of fields you can look to find topics about nursing. I have accumulated a list of nursing dissertation topics which you can use either you are writing an assignment, research papers, essays or are required to submit a nursing dissertation proposal. The list isn't a final one and I will add more research proposal topics for nursing students. High nursing staff turnover in a community hospital may jeopardise patient safety and fail to optimise performance at a small healthcare facility: examining causes and possible solutions. Comparative analysis of private and national healthcare systems in the UK. Risk management and needs assessment in health care. The potential benefits of cognitive behavioural therapy plus standard care as compared to standard care alone in symptom reduction and recovery for patients with schizophrenia. Improve and standardise the quality of care in the neonatal intensive care unit at KAMC: developing and implement standard concentrations of continuous infusion medication. How effective is health care management of the elderly (above 65years) with dementia in the UK. A holistic approach to paediatric HIV/aids: is a holistic approach to antiretroviral therapy and basic healthcare a promising methodology in improvement of health in these infected children. A holistic approach to paediatric obesity. Mental health counselling in different cultures. Has implementation of integrated mental health services in primary care programs positively impacted health outcomes among the mentally ill in developing countries? Addressing the needs of rural youth: an analysis of mental health service provision in the rural context. Adjustment and attachment in urban children of mothers with substance use, HIV, and mental health problems. The relationship between an extended stay of a peripheral intravenous catheter and increased risk of complications including infiltration and phlebitis in paediatric patients. An examination of the impact of current medical malpractice issues on the quality of obstetrical healthcare services. A case study. Denominational support for clergy mental health. Dissertation Top provides custom dissertation writing/rewriting services inclusive of research material, for model purposes only. The papers should be used with proper reference.